The latest chapter in the Star Wars movie series — The Last Jedi — racked up a whopping $450 million in worldwide ticket sales over the weekend. And while Lucasfilm is successfully introducing a whole new generation to the fantastical 40-year-old franchise, a fan site is reporting that the working title for Star Wars: Episode IX is "Black Diamond." FanthaTracks.com broke the news that "Black Diamond" will begin shooting in 2018 and hit theaters in December of 2019. Interestingly, the site reported that the film is being produced under the business name of Carbonado Industries (UK) Ltd. The term "carbonado" is often used interchangeably with the term "black diamond." We believe that the moviemakers at Lucasfilm chose "Black Diamond" as the working title because the unusual gems are truly out of this world. 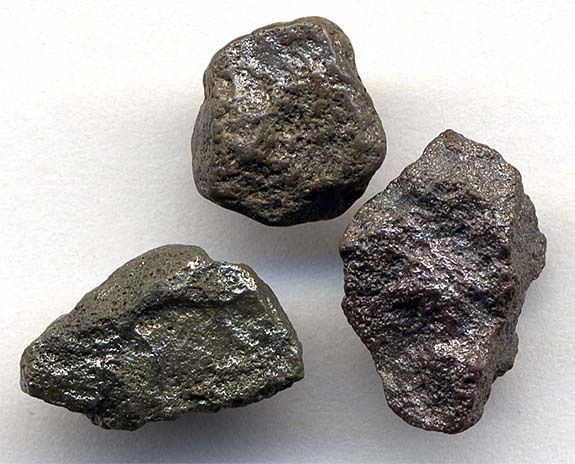 Unlike colorless and fancy-colored diamonds that form deep within the earth, carbonado is likely formed in outer space and brought to earth by meteorites, according to scientists. Earth-formed diamonds often display a crystal structure, while carbonado has an irregular surface that resembles charcoal. Carbonado is found in only two places on earth — Brazil and the Central African Republic. (During the earth's history, the eastern coast of Brazil and what is now South America may have been connected geographically to the western coast of Africa). Black diamonds are also different than other colored diamonds because they do not get their color from chemical impurities, such as nitrogen, hydrogen or boron, in the diamond’s makeup. 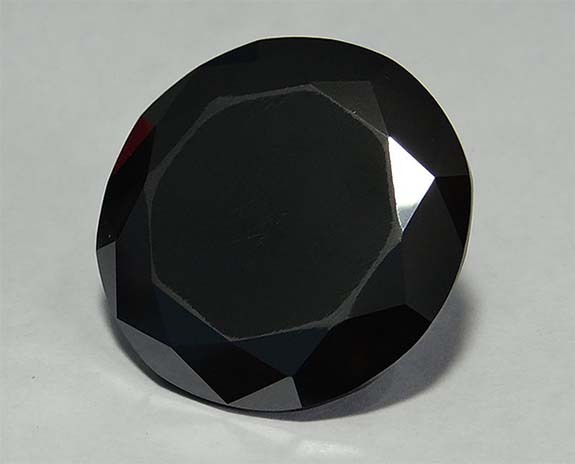 Instead, black diamonds owe their color to numerous dark inclusions (mostly graphite). Their opaqueness is caused by a “polycrystalline” structure that inhibits the reflection of light. Black diamonds are known to have a strong "luminescence," a term that the all-knowing Yoda used in his exchange with Luke Skywalker in The Empire Strikes Back (1980). "For my ally is the Force, and a powerful ally it is," Yoda said. "Life creates it, makes it grow. Its energy surrounds us and binds us. Luminous beings are we, not this crude matter. You must feel the Force around you. Here, between you, me, the tree, the rock, everywhere! Yes, even between the land and the ship." Credits: Black diamond by Trishtha (Own work) [CC BY-SA 4.0], via Wikimedia Commons. Carbonado stones by James St. John [CC BY 2.0], via Wikimedia Commons.